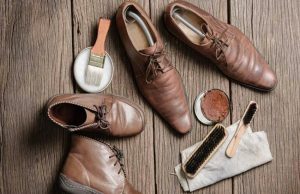 HowFaceCare.com > Home > How to take care of shoes so that they look like new ones longer? Acquiring quality shoes from genuine leather in the stores of well-known brands, many believe that they are insured against short-lived and ineffective service of such a promising new thing. However, this is not quite true. The durability, functionality and convenience of any footwear is determined not only by an impressive figure on the price tag and a prestigious label on the product itself, but also by your proper care. The main criteria for such care are consistency and adequacy of the material. To ensure that the shoe lasts longer and still has a good appearance, it needs proper and regular care. Even the most sturdy, reliable and beautiful footwear will quickly lose its appearance and become unusable if it is not provided with proper care and competent operation. Casual care of shoes provides cleaning from dirt and stains, water repellent impregnation, cleaning the surface, giving shine shoes and refreshing color. Here you are offered to arm yourself with useful information, designed to make your “cooperation” with a pair of shoes long and fruitful! Proper care for shoes is carried out in three stages: cleaning, applying a nutrient cream / product, impregnation. Remember that shoes require daily care. Using a special brush, remove dirt and dust from the shoes. For each type of shoe top, there are appropriate brushes. Never brush your shoes with a brush. Let the shoes dry completely. Stage 2. Application of a nourishing cream / remedy for the corresponding skin type. Be sure to treat the shoes with appropriate nourishing creams or liquid products! Such a procedure will keep your shoes shiny and beautiful for a long time! Lastly, the smooth skin needs to be polished, and the velor should be ruffled with a special brush. Stage 3. Impregnation, protecting shoes from dirt, dust and moisture. Do not forget to apply special impregnation! Due to the impregnating agents, droplets of water roll down without stopping on the material, and dirt and dust do not stick. 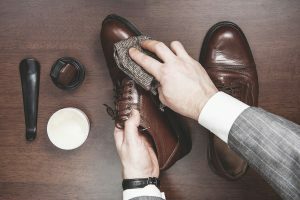 Leather shoes should be cleaned after each time you go out while once a week your “fellow travelers” are shown more serious procedures aimed at maintaining integrity and external gloss, maintaining water repellent and “breathing” properties. Wash the leather upper with a damp cloth, but do not drench too much. In water, you can dissolve a special shoe shampoo or use a cleaning foam. Rub gently – even microscopic surface damage can lead to a loss of good appearance. Wait until the shoes dry naturally. Do not dry it on the battery with the help of a hair dryer and other electrical appliances, including “special dryers”. It is fraught with drying out of the skin, cracks, distortion of form and loss of high-tech properties. It is also not recommended to expose leather shoes to dry in the sun. To speed up the process, you can fill your shoes with a newspaper, insert absorbent wooden pads or spacers, and pack the bags with silica gel. Apply a thick layer of cream (cream-paint) or soak with aerosol. Leave it for a while, then remove any unabsorbed excess with a dry and clean sponge or place with a brush. Thoroughly treat with water and dirt repellent spray. In the dry season, this can be done not every week, but at least once a month. “Bring shine” with a brush, a velvet or a special napkin. Important: Handle shoes with a special water repellent spray. As in the cream, in its composition the wax should occupy the first positions in the list of components. Often shoes for hiking and active recreation under the upper layer of genuine leather have the membrane layer. Remember the essence of membrane technology: the natural evaporation of the body and moisture penetrate through the microporous material – the membrane, and from there evaporate partly through the outer layer of the shoe, partially – back into the shoe after you have removed it. 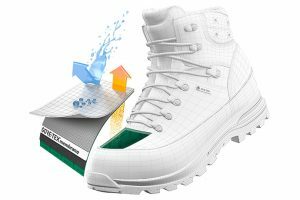 Thus, the purity and “health” of the outer layer of membrane footwear (and the welfare of the internal) is the key to maintaining its high-tech properties. 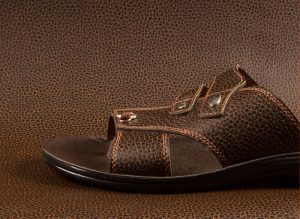 In general, the membrane itself does not require any care, and the surface of such footwear is treated in the same way as any leather surface. However, the shoe polishes and fats of membrane footwear are contraindicated, since they reduce the “breathing” properties. It is more reasonable to use special means for membrane footwear. As a rule, there is an appropriate badge on suitable caring means. After each “walking” shoes with a membrane should be properly dried, and here the above-mentioned ban on drying with battery and electrical appliances is doubly principal: overheating can reduce the efficiency of the membrane to zero. Daily care should be directed, first of all, to the removal of dust and contaminants, which reduce the “breathing” properties of the surface. In addition, membrane shoes require thorough water and dirt repellent impregnation, maximally preserving the cleanliness and dryness of the surface during operation. Important: Do not forget that tourist boots need a very anxious care, which is due to more severe conditions of their operation. 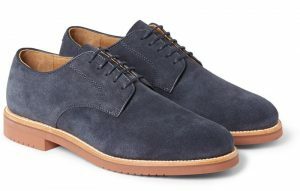 New suede shoes are useful to treat with a product that protects against moisture and dirt. This treatment protects against wet spots, slows down dirt and facilitates the removal of special impurities without effort. In any case, before you start to care for shoes from suede, it must be dried. Then brush off the dust and light dirt with a brush, and the shaded areas should be wiped with a special rubber band (you can use a pencil eraser). 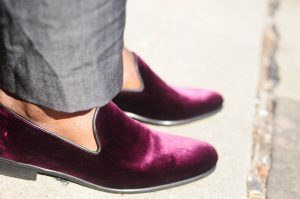 For very heavy soiling, suede shoes are brushed with a brush soaked in warm soapy water with the addition of ammonia (1 tablespoon of alcohol to 5 tablespoons of water), then rinsed with cold and acidified water (1 teaspoon of vinegar per liter of water). Then the shoes should be polished with a soft, lint-free cloth and held over the steam to restore the “fluffiness”. Grease stains can be removed with gasoline or sprinkled with talc and scoured after a few hours with a brush. Black and dark brown shoes should be wiped with a damp cloth, and when heavily soiled – with the addition of detergent. Suede absorbs water well and after drying it retains the same properties, but from repeated wetting it can harden somewhat. In this case, it must be mashed in the hands in different directions and it will again become soft. If the suede hardens strongly, it should be soaked in a cold soapy solution, folded and left for 6-8 hours. After that, rinse out in water, to which you need to add a little ammonia. Important: Color and light suede will have to be given to a special dry cleaning. The water will spoil the shoes, leaving a stain on it. At home, these shoes should be cleaned with special brushes, which are sold in shoe stores. Patent leather shoes always look exquisite and solemn. Such shoes may not be decorated with rhinestones and bows, the lacquer shoes or sandals themselves are already elegant. Whatever footwear is in the trend, patent shoes and boots always remain classic. Mirror gloss varnish is a special style, and no matter how the covers and pages of fashion magazines change and how delights of stellar designers go far, at any show there are shoes made of elegant patent leather. 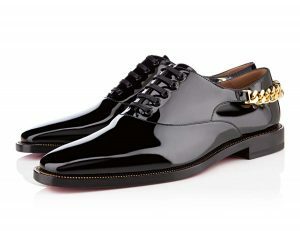 But, like any other beautiful thing – patent leather shoes can be quite capricious. This material requires careful care and attention. Not any weather is suitable for the patent leather shoes with a varnished coating. Therefore, it is very important to comply with the temperature regime, and do not wear lacquered shoes or boots, if outside the weather is warmer than +25 degrees. At the hotter temperature, the lacquer coating loses its strength, its softness rises and, due to this, deformation occurs. The scorching sun rays are not at all a friend to the lacquer film: they stretch it, make it “bubbly”, wrinkle and cause it to crack. Shoes from such skin should be wiped with soft flannel cloths or a velvet flap. No hard sponges and the more brushes, otherwise you will damage the smoothness of the skin. Wash patent leather boots or shoes best with warm water with a small amount of soap. If shoes from patent leather are soaked – let it dry by yourself. In no case can it be dried with a hair dryer or a so-called electronic “dryer” – this can lead to the fact that the surface of the product will be covered with small cracks from drying out. Update the look of the shoes. Smooth patent leather loves moisturizing. Periodically wipe shoes with vaseline, castor oil or glycerin. Apply one of these products to a piece of cotton wool and wipe their shoes, and then rinse with warm water and wipe the shoes with a dry soft rag. You will immediately notice that the skin has become shiny. Fresh onion juice will make the varnish shine with double force. Do not need to survive the juice: cut a quarter of the bulb and just wipe the surface with this cut. After this procedure, polishing with a soft cloth. Periodically wipe your shoes with milk, and then wipe the shoes dry – the effect of shine is guaranteed. Important: A special care remedy can be effectively replaced with olive oil. Make an easy “massage” to your favorite shoes – and the lacquered glow is assured! Unscrewed oil is removed with a soft cloth. The low price made artificial leather extremely popular. Today you have a great choice of colors and textures. Some types of artificial leather almost completely mimic the look of genuine leather. The development of the textile industry allows creating artificial skins similar to smooth aniline leathers or even nubuck and suede. Artificial leather is durable and inexpensive. It is not difficult to care for such shoes. Of course, no need to use any kind of nourishing or emollients to take care of artificial leather footwear. Protect artificial skin from heating! Cigarette or iron will instantly melt the surface! Virtually all artificial skin can and should be washed in water with delicate detergents. Artificial leather with a surface like “microfiber”, “alcantra” resembling suede or nubuck should be vacuumed regularly. In extreme cases, periodically wipe such shoes with a damp cloth. You can use in the care of artificial leather with a fleecy and porous surface, suitable for cleaning textiles. You can return the velvety to the pile that has fallen off by using a stiff brush or a serpentine brush for suede. Important: Fat and dirt stains from such leather can be removed with clean gasoline. Do not use standard gasoline! New footwear of velour should be treated with a special protective agent for velour and suede. It is not recommended to wear such shoes in rainy weather – velour gets wet and loses its color, resulting in hard-to-remove stains. Before each treatment by special means, dust and light dirt should be cleaned with a clean special rubber brush. After that, the shoes should be treated with a velvet care product, allowed to dry, and gently lifted the nap by a special brush. Important: For daily refreshment of velour shoe colors, a spray paint is recommended to be used. It is recommended to treat a new pair of textile shoes with a special care product for textiles. For further use, it is recommended that the surface is periodically treated to facilitate cleaning and reduce the blotting of the shoes. Textile footwear is recommended to be worn only in warm dry weather. When wetting shoes, pre-dry it at room temperature, and then remove the dirt with a dry brush. Important: Dry the shoes on special mold holders, away from heating devices. 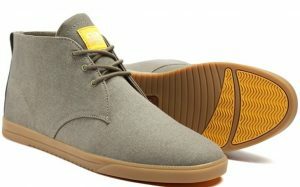 To enjoy your beloved couple of nubuck shoes as long as possible, you need to organize the proper care of this material. Preparing for the first walk of your boots or shoes, constant care with the use of special tools – is not the only one thing to do. Thanks to a clear observance of some recommendations and tips, nubuck shoes will become a favorite pair, in which the legs will be comfortable. The answer to the question of how to clean shoes from the nubuck will be incomplete if you do not understand the features of the material and its performance characteristics. After all, the use of modern means for the care of shoes can not only help to maintain a “healthy” appearance, but also significantly harm fashionable shoes or boots. Nubuck is a modern natural material that is produced by the technology of qualitative processing of leather in factory conditions. Many owners of trend shoes are ready to complain about its “capriciousness” and impracticality. The whole fault is the lack of knowledge of how to care for the nubuck. Shoes made from high-quality material are distinguished by high indicators of durability and strength. Such footwear is capable to keep the operational characteristics in the conditions of constant daily wear. In this case, being a natural material, nubuck provides a “breath” of the skin, which is a prerequisite for maintaining the health and beauty of your legs. Self-cleaning of nubuck is possible under the condition of maximum care and accuracy. If it is a question of the use of special aerosols, then it must be done in compliance with safety rules. Daily care involves a certain sequence of actions: remove dirt from the sole and heel using a damp rag; clean shoes of debris and dust; apply impregnation once. 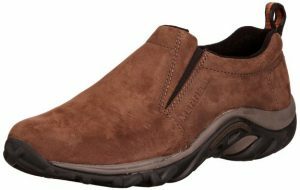 If for some reason you do not have the opportunity to purchase a modern effective care product for nubuck shoes – this is no reason to get frustrated. The natural remedies used to care for suede and velour items will save the situation for a while. To clean nubuck shoes you can use crusts of stale bread and an ordinary eraser. For tinting and refreshing the black color nubuck shoes use carbon paper and for the care of shoes of brown shades the coffee grounds may be used. Such natural recipes are not only effective, but also have a certain advantage. Their main advantage is in the absence of chemicals that can cause allergies. Important: It is not recommended to apply caring products (creams, impregnations, foams) to the surface of the nubuck itself. Such products are applied to a soft cloth or sponge, which then are used for the carefully cleaning of the contaminated or tinted surface. Always fresh shoes with impregnating agent. The rules for cleaning shoes for different types of materials vary greatly. Therefore, for the care of shoes, it is best to use special tools taking into account the material of the top and color scale. When wearing shoes, use a shoe spoon to avoid breaking the heel part. For a comfortable sensation of the foot in one to two days, change shoes, especially in wet weather. It is not recommended to wear pile-leather shoes and shoes made of textile materials in rainy weather. Do not forget about the purpose of shoes. Do not wear shoes with varnish at temperatures below -5 ° C, otherwise the skin may crack. Dry the shoes properly at room temperature, by filling with paper or inserting special tools to keep the shape. Do not dry shoes on heating surfaces, near fire or in direct sunlight. Products removing stains and pet odors. ← How to plan your diet according to 5 Feng Shui Elements?